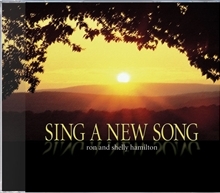 The ten new compositions in Sing A New Song will not remain new for very long. Both your choir and congregation will be singing them over and over again as the beautiful melodies carry the powerful message of the Bible-based lyrics. Also included in Sing A New Song is a new Easter musical, He Is Risen Indeed. Five of the songs from the choral book are used along with a simple script to tell the story of old Mrs. Pepper. A cheerful saint, she discount her own ability to serve her Lord, even as she inspires everyone around her.